The creation of a functioning capital city in Berlin in concrete terms while maintaining the sense of the city's regained unity was one of the greatest challenges that resulted from the German Bundestag's resolution concerning the Seat of Parliament and Government. Meeting the challenges of creating the proper preconditions for a capital city in the sense of Berlin and in the sense of the entire country was from the very beginning the common goal and project of both the Federal Government and the Berlin Senate. 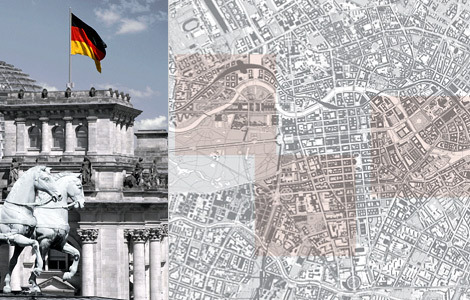 The "Development Measure for the Capital City of Berlin - Parliamentary and Government Quarter" were called into being to this end. In doing so it was, and has remained, a special concern to create a government quarter which is well-integrated in the city. This Internet presence is intended to contribute towards focussing attention on the many projects of these development measure. The DSK Deutsche Stadt- und Grundstücksentwicklungsgesellschaft mbH has been charged with the urban development measure as fiduciary development agency by the State of Berlin.